Get relief from Cold and Flu Symptoms and bring Wellness to your entire Family in style with a Crane Cube Humidifier. 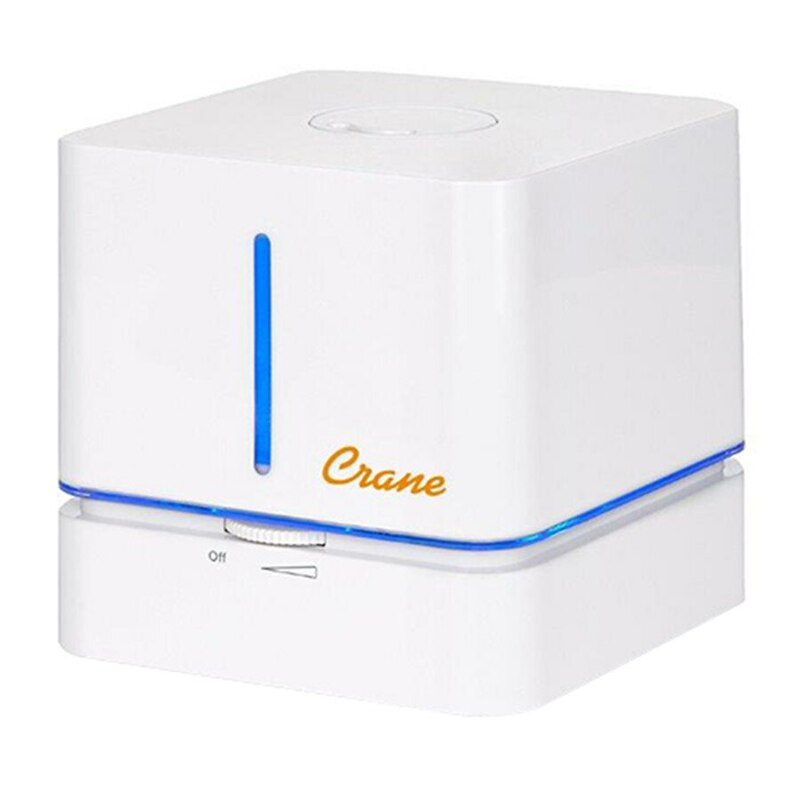 Based off of the award winning operational excellence of all Crane Humidifiers, Crane's Cube Ultrasonic Cool Mist Humidifiers provide up to 24 hours of soothing moisture to help relieve the effects of dryness and congestion, helping you and your family to breathe easy and sleep through the night peacefully. Crane's upscale designs complement any home's decor. Not only are Crane Cube Humidifiers stylish, but they are easy to use, whisper quiet, and feature Antimicrobial Material in the Base to help reduce mold and bacteria growth by up to 99.96%*. This compact, BPA Free unit uses ultrasonic technology to add humidity to the air, is more efficient than a household light bulb, and includes a built-in auto-shut-off feature that engages when the water tank is empty to ensure safety.